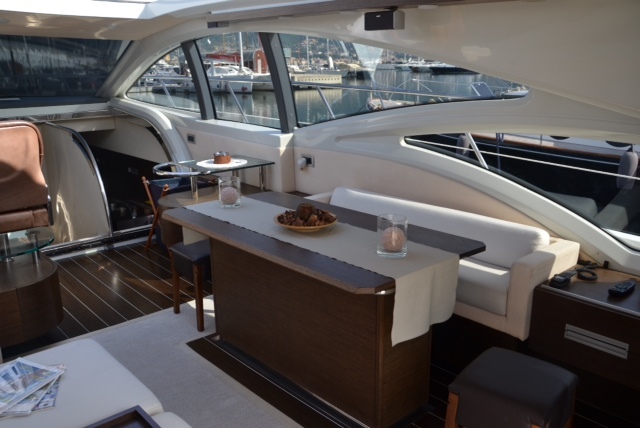 Crewed charter yacht SABEA MEA has ample interior living. The main salon is on the main deck, enjoying elongated light enhancing windows, a sofa, coffee table and formal dining area. The chic décor blends darks and lights, for a contemporary inviting feel. 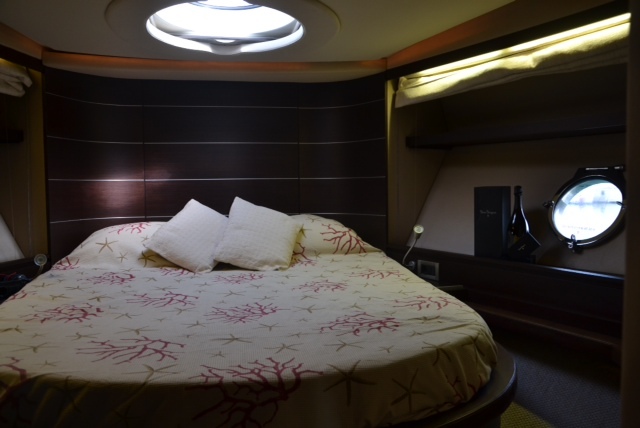 Below decks are 2 guest cabins, each with king size beds and private facilities. 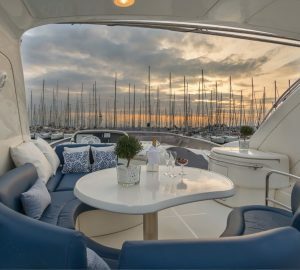 Aboard the open SABEA MEA motor yacht, guests can enjoy the generous aft deck adjacent to the salon, where sliding glass doors allow the space to be as one, making it ideal for social occasions. 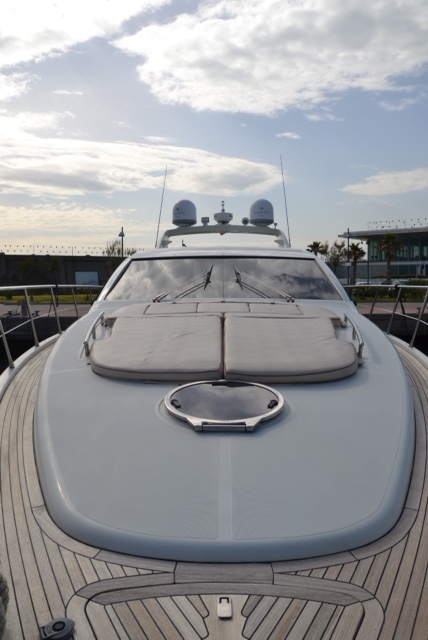 For the sunlovers, side decks lead to the foredeck and a large sunpad. An extended swim platform is perfect for effortless water access, or simply lounging in the sun. 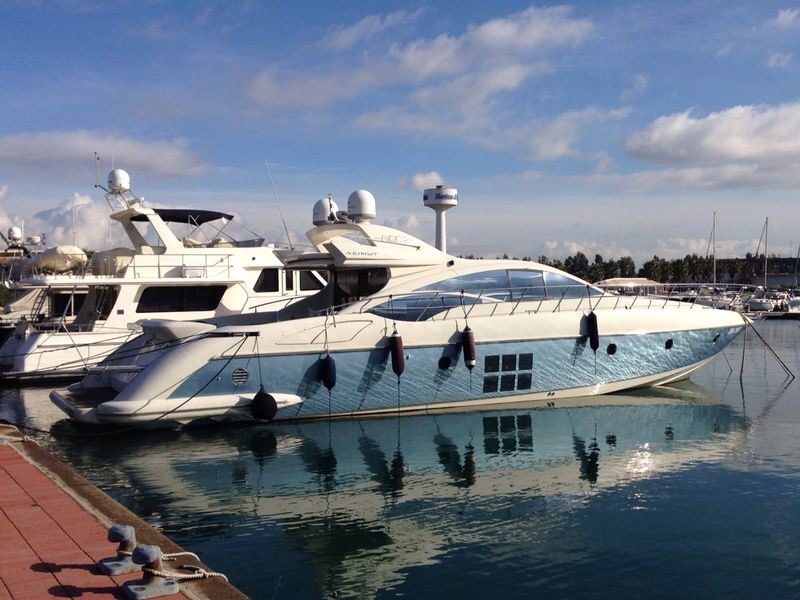 The agile and sporty Azimut SABEA MEA has 2 MAN engines and boasts cruising speeds of 20 knots, with top speeds of 28 knots. 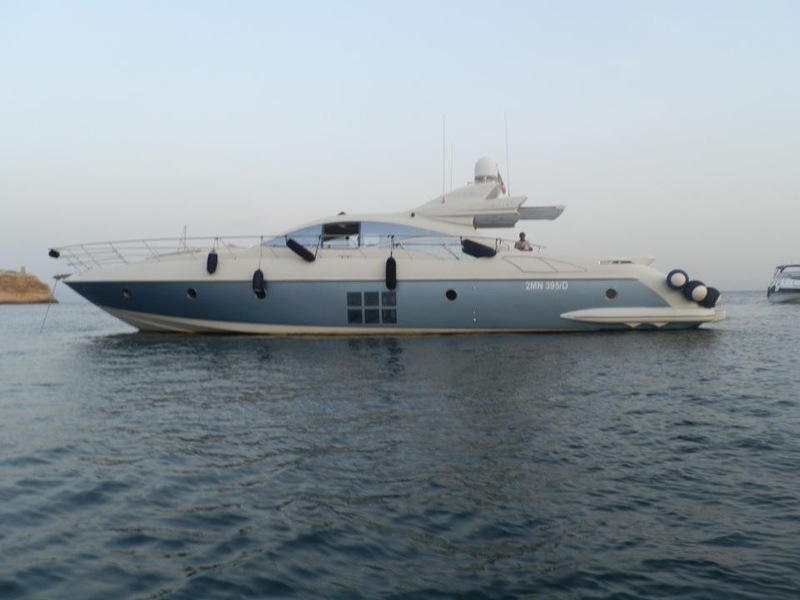 Luxury charter yacht SABEA MEA offers accommodation in 2 cabins, for up to 4 charter guests. 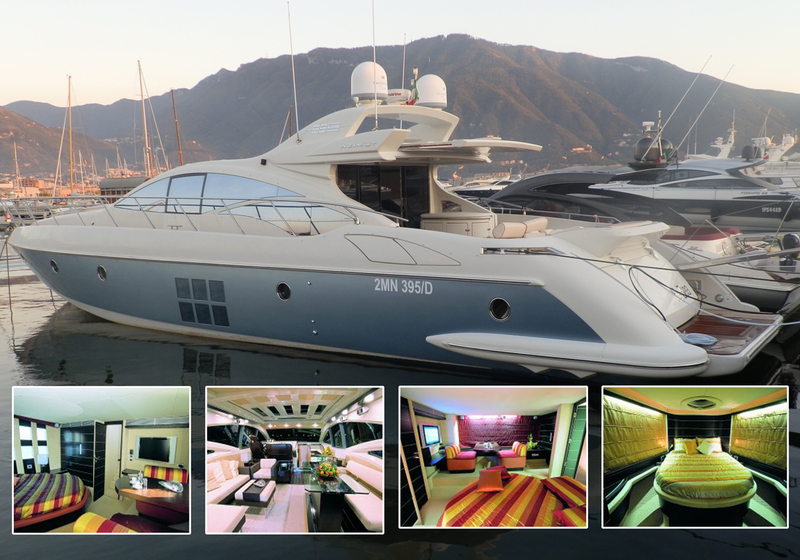 The master stateroom is amidships and full beam of the yacht, with a king size bed and private seating area. 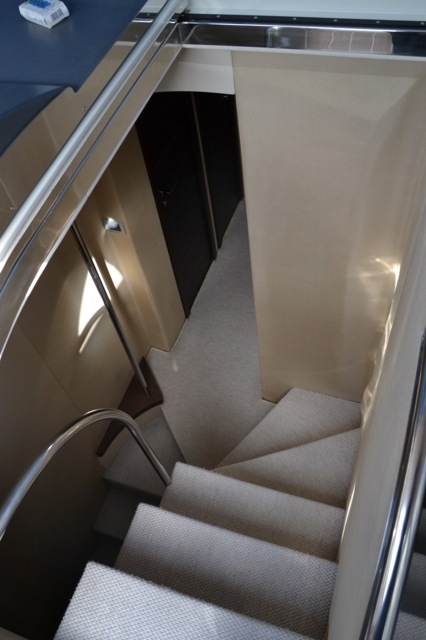 The VIP cabin is forward and full beam of the yacht, with a center lined king size bed. Both guest cabins are fully air conditioned and offer en-suite facilities.